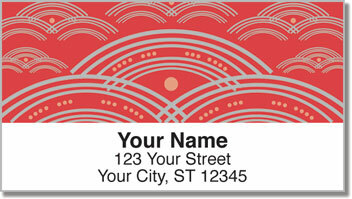 An artistic finishing touch for all those letters and packages will make your mail stand out. 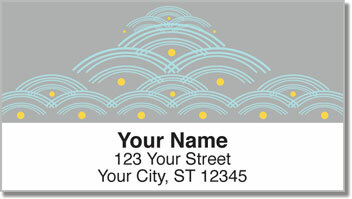 Inspired by the Japanese Seigaiha pattern, this design featuring lovely, overlapping waves adds color and character to plain white envelopes. 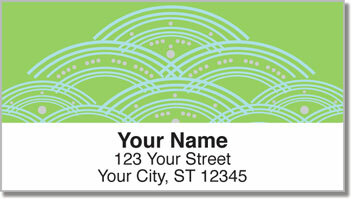 Each of the four labels features a unique and vibrant background color as well as four different layouts of blue curves and lavender polka-dots. While you'll certainly impress everyone on your mailing list, this convenient product will also impress you. That's because you will save a ton of time preparing outgoing mail. Since these labels are self-adhesive, you just stick them on! 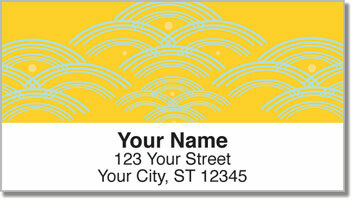 Order your own Artsy Arch Address Labels today! Get them with a set of matching personal checks.